Moving out of your parents’ house and into an apartment for rent in Winona offers various advantages. 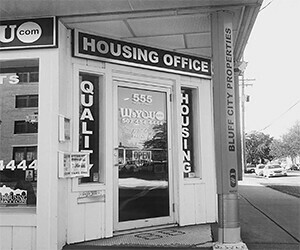 If you are looking for safe and comfortable homes and apartments for rent in Winona, turn to WsYOU/Bluff City Properties. Click here for information to show to your parents! Our company offers an extensive selection of places for rent in Winona for students. These spaces for rent in Winona are well maintained and secure. For our tenants’ peace of mind, we have security cameras installed in key areas of our buildings. In-campus dorms are cramped and have limited spaces compared to homes and apartments for rent in Winona. In contrast, off-campus housing for rent in Winona offers units that are bigger than dormitory rooms. You will also have your kitchen, living room, and storage unit in places for rent in Winona. School dormitories set restrictive rules on curfews, room keys, and visiting hours. Meanwhile, an apartment for rent in Winona may also have its own rules on amenity use, occupancy, and noise levels. However, these rules are not as stifling compared to those of dormitories. Living in an off-campus apartment for rent in Winona offers more accessibility to certain establishments. At WsYOU/Bluff City Properties, we have units that are near groceries, restaurants, banks, and urgent care centers. These places can help our tenants with their basic needs. Our places for rent in Winona are also close to the scenic views of Lake Park and Lake Winona. Some of our homes and apartments are located near these tourist spots, which serve as great venues to relax and unwind, especially after a grueling exams week. Your roommates can make your stay either memorable or unpleasant in a unit for rent in Winona. At WsYOU/Bluff City Properties, we have a Roommate Matching Program to help tenants find roommates that will match their lifestyle. We conduct surveys and interviews as well as meet prospective housemates to determine who will be good roommates. This program may help our tenants concentrate better on their studies and become more productive. At WsYOU/Bluff City Properties, we offer private apartments for tenants who prefer to live alone. We put a premium on comfort and convenience. That is why some of our apartments for rent in Winona have private rooms, bathrooms, and kitchenettes. In dormitories, you share your room and the bathroom with other people. This can make you susceptible to illnesses, such as the flu or colds, especially if someone is sick. Meanwhile, living in a unit for rent in Winona may help you stay healthy since you have fewer roommates. Turn to WsYOU/Bluff City Properties if you are looking for units for rent in Winona. Get in touch with us to check out the available apartments for rent in Winona. We look forward to hearing from you. Off-campus living is an increasingly popular housing option for many students. This solution lets them cut costs and allot their funds to other college expenses, such as their tuition, school supplies, and books. However, living outside your college grounds does not automatically equal a great lodging experience. You will want to make sure you are renting a student apartment that is clean, well maintained, and functional. You can find that at WsYOU/Bluff City Properties. Read here to see the average cost of living in Winona: https://www.areavibes.com/winona-mn/cost-of-living/.